For the business executive to help you keep your money safe and organised. 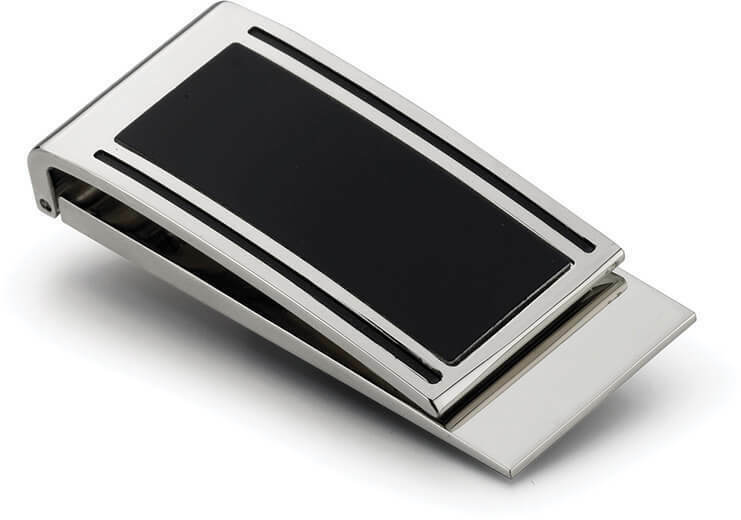 The money clip is made from shiny nickel with matt black coloured infill. Lots of decoration options for your logo including a dome print. A small but effective idea for a promotional gift.